War is coming folks! It has already been decided. It was decided before Donald Trump became the president. This article is not a rant against Trump. It is a warning that all of God’s people must take to heart. I’ve been watching the drama unfold, just like you have. And it appears that we have another Tavistock, New World Order, Neocon, warmongering plan underway. In order for the plans for war to be successful, the general public must get on board with it and support it. What better way than a false flag? On the night of August 9, 2017 I had a prophetic dream about the coming war. It was short, but it spoke volumes. I was looking outside the window of a house. I saw a missile come out of the ground and fly into the sky. It was a missile from the United States of America. It accelerated quickly. I watched it rise into the sky, but then I was shocked. Because above the missile, a large passenger plane was flying in the sky. It was a large jumbo jet. Its elevation was about 2000 feet. The missile struck the plane on the engine. At the moment of impact, I heard the words, “False Flag,” spoken from the sky. 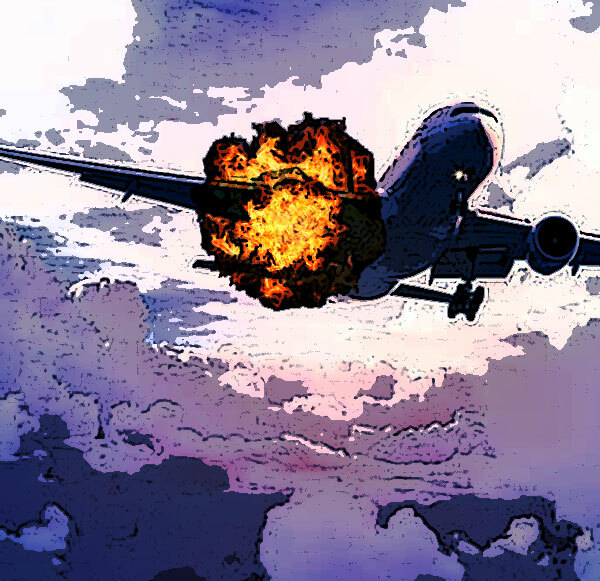 The airliner plummeted to the ground in a ball of fire. I did not see which airline it was, but the engine color was a soft baby blue. The fuselage of the plane was blue and white. The blue was a little darker than the engines. But the blue color was not real dark. As the plane plummeted, debris fell to the ground. A large section of it struck an apartment building. The news reported that if anyone found debris they should notify authorities. I looked for debris in backyard of the property where I was. A Mason jar had fallen from the plane and was laying on the ground sideways. I went to check it out. As I was looking at it, the lid came off and three serpents crawled out of the Mason jar. I stepped back because I knew that the serpents were dangerous. Two of them slithered along the grass and burrowed into the ground. But the third serpent was caught. Not by me but by a man who appeared next to me. He was a military officer. I think he could have been a general in the US military. The general laid three sticks around the serpent that was coiled on the ground. The three sticks formed a triangle around the snake. The snake could not leave the triangle. It was like the snake was locked into a pyramid that immobilized it. I found it odd that the serpent to be contained in such a weird manner. The first part of the dream is very evident. A false flag event is coming. The missile that was fired was from the United States. And it was used to target a plane. This dream is symbolic. The target of the coming false flag event could be anything. So I am not sure that it will it be a plane that is used as fodder when the event occurs. However, a targeted plane could be possible. The colors of the jet were interesting. The engines were baby blue. But the fuselage was a darker blue with white. I did not see the name of the airline so I’m not sure who it belonged to. Some of the debris hit an apartment building. The imagery could mean several things. But I wonder if it is also symbolic that when the false flag event happens, it’s going to affect the housing market? I’m not sure. The imagery of the jar was very interesting, because it was a mason jar. In the natural, mason jars are used to can and store food. This mason jar had snakes in it. Three of them. At this point, I have not received all the interpretive clarity for the mason jars, but it could mean a number of things. 1. Does the jar symbolize food? Or stored food? If so, does it mean that food is going to become poison? Or the ability to store it will be difficult? But this doesn’t really explain why a food jar would contain snakes. 2. Does the mason jar represent the Freemasons? If so, the jar fell out of the plane. Why? 3. Three serpents were in the jar. I knew they were very poisonous and dangerous. So I kept my distance. One of my friends suggested that the serpents represent the three branches of government, and one of them was being corralled by a general. But which branch was corralled? Was it the executive branch? Is Trump is being corralled by people in power? 4. The general used three sticks and laid them on the ground in the shape of a triangle to corral the serpent. Does the triangle shape represent the behind-the-scenes influence of the Freemasons. Does the US presidency have Freemasonic handlers? In my opinion, I believe the answer is yes to questions three and four. The US presidency does have handlers. They are very powerful. John F. Kennedy alluded to this before he was killed. 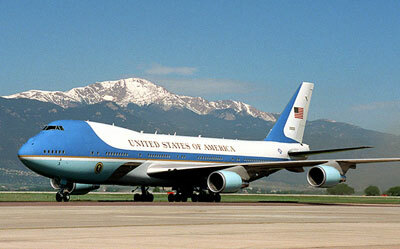 I have wondered if the plane was Air Force One, because the airliner in my dream had similar colors. But I’m not sure if it was a commercial or government plane. If it was Air Force One, it is very disturbing, because I do not wish harm on the President. As a side note, say a prayer for the President’s safety. If something were to happen to him, chaos would ensue, both domestic and worldwide, because people would want justice, including most Americans, but especially Trump’s support base. If this dream does represent Air Force One, you know what that would mean folks! I don’t even want to say it! But the aftermath would result in Mike Pence to taking over. And when he did, he would be corralled by the Freemasons and be controlled by the military, meaning the free Masonic warmongering military-industrial complex. 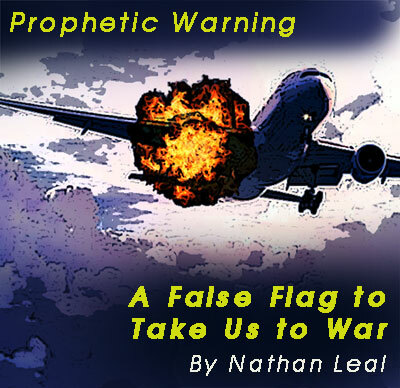 The other notable component of this prophetic dream is that it was a false flag event. So however this thing plays out, be warned that a false flag event is in the works. I do not have a date. I do not know when this would happen. But one possibility is that a missile attack could occur and be blamed on North Korea when in truth the source of the missile was the United States. So make note ladies and gentlemen. If a future missile is fired and targets America or its allies, there is a possibility that the source of the missile will not be from Kim Jong. How can they do that? Simple. The next time Kim Jong fires one of his test rockets, the United States could shoot it down, but continue the trajectory path with a domestic rocket from the USA. That rocket could then land on a predetermined target, cause destruction, and then be blamed on North Korea which would take us to war with them. Can you say 9/11?….Operation Northwoods? The Gulf of Tonkin? – They are the neocon vampires who love eternal wars because it makes them rich. – They are the elite who desire to make planet earth into a global plantation. – They are the military-industrial complex who maintain endless wars so that their stockholders will be happy. – They are the globalist bankers who have an end game for a world currency by the year 2018. I don’t know if they will achieve it in time, but their deadline is getting pretty close. They want war folks. When they get it, they are going to want to enlist your children because human sacrifice is a part of their game. My friends, we are living in volatile days. The elite of the world have decided that war is the next part of the script. But they have to sell this war to you. Tavistock and the RAND Corporation are experts at this. They’re using the global media to brainwash all of you that war with Korea is necessary. Because otherwise, Kim Jong is going to kill all of us. This is all a ruse folks. We’ve been down this road before. Unfortunately, the general public has short-term memory loss. So most of the population is going to get on board with this war. Watch as the tide turns to galvanize public opinion about it. Because, it’s already happening. I am watching in real time as many Christians are now stating that they support a war with North Korea. But not only a war, but a preemptive nuclear strike on North Korea. I find it amazing that Christians can be influenced so easily. On Facebook, Christians are shouting for war. And even worse, many pastors and spiritual leaders have picked up the rope and are now towing the line for a preemptive strike on North Korea. Why? Because they have heard the scary rhetoric about Kim Jong. He is the bogeyman. And Americans are being convinced that they have no choice. …In spite of the million dead Koreans, both North and South…and the thousands of dead Japanese, that will result from America’s preemptive strike. They are working overtime right now. The news is convincing Americans that it is necessary. Oh the grief that is coming my friends!! There will be many tears. It’s time to pray ladies and gentlemen. And the first order of business is repentance. Everyone reading this needs to be repenting. Take inventory of your life. It’s time to clean house my friends. It is time to forsake compromise and apathy. It is time to redeem God’s mercy while you still have the chance. Because the night is coming, when it could be too late. Pray for your family. Pray for your loved ones. Encourage your loved ones to get their hearts right with God. And I’m not just talking about a general prayer. Folks it is time to seek Jesus and the cross. For those who have wavered, it is time to return to your first love. Also, pray for discernment and wisdom. Pray that you are not deceived with a false narrative that is taking place right now. Jesus said in the end times many would be deceived. Pray that you are not one of them. In conclusion my friends, as Christians, our assignment should be repentance and seeking God. Also, pray for the president. Pray for his safety. And also pray that he operates with wisdom and not deception as America proceeds towards war. I will be talking further about this matter in an upcoming program. If you have any thoughts or discernment about what some of the symbolism meant please email me and share it.